Item description: * See scan - perfect condition. 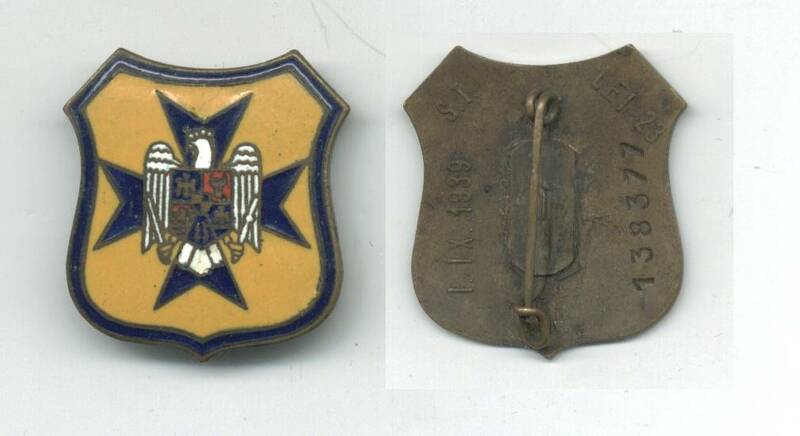 Extremely rare Romanian Royal SOKOL paramilitary sport organization badge - 1939 WWII time issue - numbered and marked. Perfect enamel work and scarce piece. Would make a perfect addition to any collection.